Welcome! Here you can explore Indigenous secretes for a better way of life! 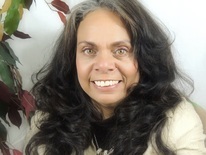 When you balance your true self with nature, qualities of the indigenous awaken within you, and you discover and connect with your genuine nature. 10,000 years of remarkable existence! Turkey Tale Trading Post Sells Quality goods. We sell the top products to sell that cannot be found often. 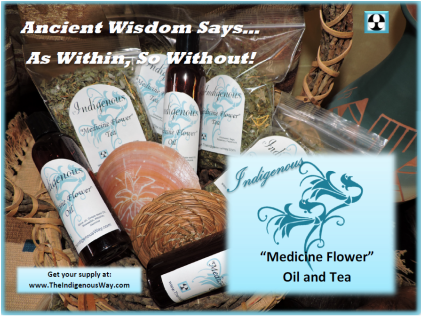 ​Indigenous “Medicine Flower” Oil is great for your skin. It promotes the regeneration of healthy skin cells. Learn more information about the oil here! ​Find Out What He Knows. Our Weatherization Program is to help families reduce energy costs by_ installing materials of energy saving items. 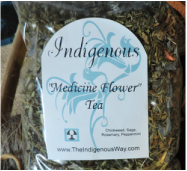 Indigenous “Medicine Flower” Tea, gives your body the building blocks it needs to manufacture tissues and hormones necessary for good health. Learn more information about the tea here!